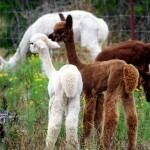 Why do we shear the alpaca crias? 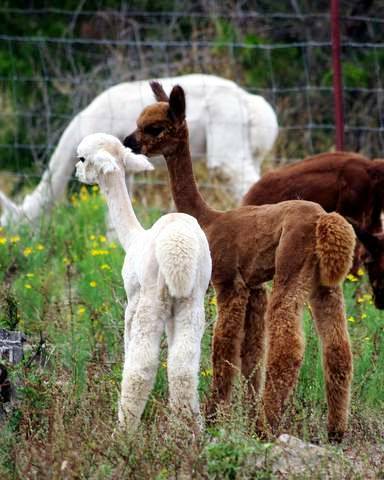 If the babies are not shorn they can get too hot during the summer plus the tips of the cria’s fleece is like velcro… everything sticks to it especially the very fine fleeces. 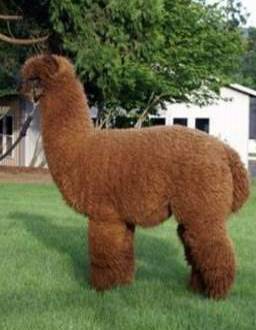 By the following spring if they weren’t shorn then their fleece will most likely be ruined and unusable. 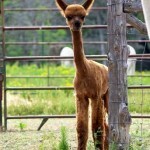 However when we shear our spring crias I worry about the possibility of their mom’s rejecting their babies. 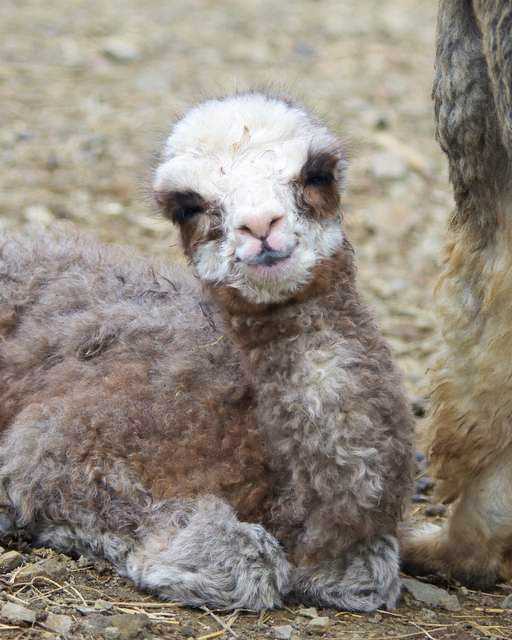 This year our crias and their mothers did just fine. We brought their moms in the barn while we sheared them. We tried not to use too much oil so when we were finished shearing they wouldn’t smell too different. When the babies nurse their mothers instinctively smell their tail while they are nursing. This year we didn’t trim or touch their tails at all and I think that helped quite a bit. 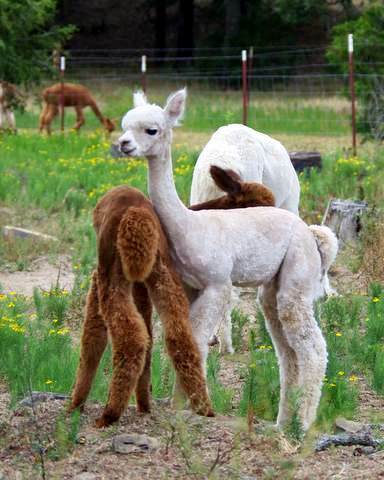 Plus we sheared their moms a few weeks ago and that helped because there wasn’t the problem of the babies not recognizing their moms after they were shorn. 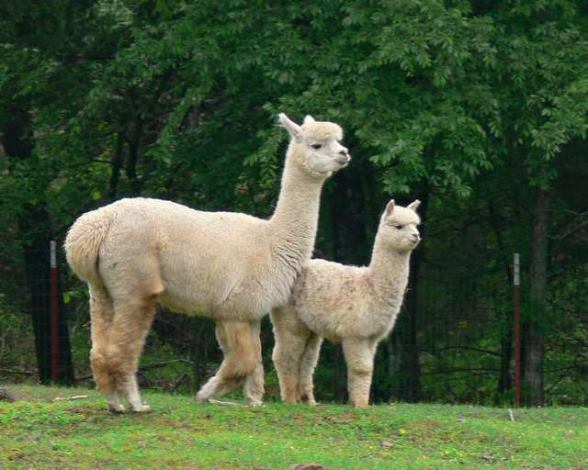 One year we sheared a new mom and her baby on the same day. 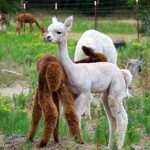 After they were shorn the cria nursed so we thought everything was fine. Well later that day the baby was standing right next to his mom and he was crying for her because he didn’t recognize her. The mother was crying for her baby as well because she didn’t recognize him. We put them both together in a small pen by themselves for the night. In the morning when we came out they were bonded once again. The baby was nursing… hooray! 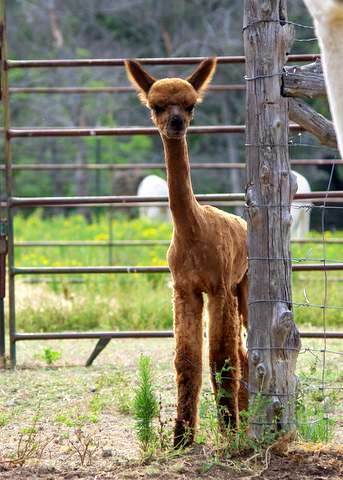 So yes I have reason to worry when we shear babies but this year’s shearing went off without a hitch!